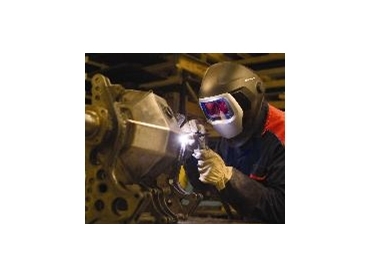 Australian Welding Supplies (AWS) will release an innovative welding shield technology, on stand 4215 during National Manufacturing Week 2008, at the Sydney Convention & Exhibition Centre, from May 27 to 30. According to AWS, the Speedglas 9100 shield fundamentally changes how a user wears a shield and experiences fit, stability and balance. Designed for optimum protection, comfort and performance, the Speedglas 9100 is just the fourth generation of Speedglas welding shields to be developed in 27 years. The Speedglas 9100 will be the new product benchmark for the entire market of premium personal protective equipment for professional welders. “The ideal features of this shield need to be seen to be believed,” said Chris Neville, AWS managing director. As well as the Speedglas 9100, the entire Speedglas product range, including the Adflo powered air purifying respiratory system, will be displayed at the show.